The Belairs Kansas City Blues Through the years. The Belairs have contributed their rock solid line to collaborations. With numerous other artists on stage and in the studio, including Johnnie Johnson, harpist Mark Wenner of the legendary DC-based Nighthawks, southern California saxophonist Johnny Viau and French blues phenom Big Dez. Currently, the Bel Airs are touring with Brian Capps, the Domino Kings, and the Morells as part of the “Big Noise from Springfield”. Now based in Columbia, Missouri. 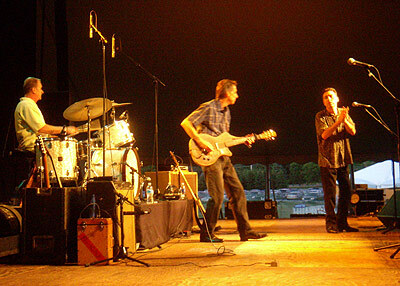 The Belairs are easily one of the hardest working and most entertaining blues bands in the country. These veterans have delivered some of the hottest dates at legendary clubs. Many of which the Bel Airs have outlasted. Just like JB Huttos and Roger Nabor’s late great Grand Emporium. They continue to win over audiences from Southern California to the DC Metro area and all parts in between. They are perennial favorites in the US and British Virgin Islands and recently began building a following in Europe with performances in France, Corsica, Belgium and the UK. Their musical approach and superbly crafted showmanship make for a more than memorable concert wherever they appear.